What a fascinating term. Cyber Liability Insurance. It sounds like something from Dr Who is going to attack you! But not only is it much scarier than that but it’s also much more likely. And yes – it can happen. Even the FBI is now saying it’s WHEN not IF small businesses will be targeted by cyber criminals because big companies have big budgets to protect themselves (and they still fail) so what chance do smaller business with older operating systems and defences have? The ransomware attack on the NHS showed just how easy it is to be shut down if there is even the smallest hole in your defences. 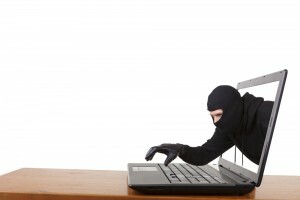 At Prizm Solutions we understand Cyber liability insurance. Just imagine if you were locked out of your computer system and everything on it for say, 6 months. So… no accounting? No client or customer records? Or patient records if you’re a GP? I would suggest most businesses would just cease to trade. Every single person and every single insurance company has a totally different definition of what cyber insurance means. So what should it mean? It should mean protecting probably the most valuable thing your organisation possesses from being destroyed or locked away from you. At its simplest, that’s what Cyber Risk Insurance is there to do – to protect you. And it can also cover you if you’re the victim of E-Fraud (Unauthorised Electronic Fund Transfer) or if your website is corrupted or if your telephone system is hacked. Traditional insurance policies will quite happily cover you if you have a fire or get your computers stolen, but they have never covered the risk of someone clicking on a dodgy email and accidentally downloading ransomware, or a hacker targeting you, or even an employee deliberately trashing your system because he/she is off to work for a competitor tomorrow… This is why businesses need cyber security insurance. At its most basic, a cyber liability insurance policy provides instant expert assistance in regaining control of your computer; PR costs to convince the world that everything is OK (or at least it will be soon); Credit Monitoring of affected individuals and help if you fall foul of the new GDPR regulations. Not only is one of our directors one of the top women in IT in the UK but we’ve also helped a number of insurers actually build their cyber insurance products and we have an accurate product comparison of all the leading insurers policies, so we can choose which cyber policy is the right product to cover you and then we can get it at the best price,. What makes Prizm Solutions different from most brokers is that in most cases we don’t take a commission from the insurance companies for placing the business with them. Instead, we prefer to work on a fee basis so that our earnings are transparent, which we feel is more ethical. Please click here to arrange a call back so we can discuss your cyber insurance policy requirements and help you make an informed decision regarding this or any other insurance matter for your business or for you personally. Or email us if you would like a quotation.